If Beeyoutiful were a movie, there would be five featured players who would get rave reviews from me. They’re all stars of my medicine cabinet, and I’d like you to know what makes them so special. 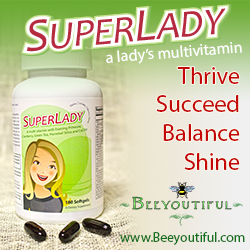 SuperMom was the very first Beeyoutiful product I had the pleasure of meeting. I introduced myself as a single mom of a one year-old, and the two of us became fast friends. SuperMom and I have met every morning at breakfast for months and our relationship has been a genuine blessing. 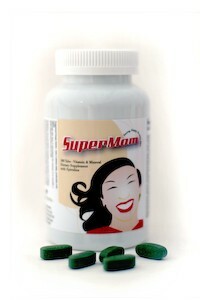 My life before SuperMom was plagued with every-other-day migraines due to the insurmountable stress of my world. 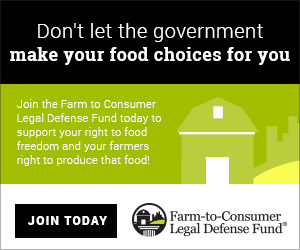 In the middle of a divorce from an abusive husband and hiding with my little one fearing for our safety, I was also jobless for nearly six months and on every form of welfare imaginable. Isolation and a lack of trustworthy friendships added to my increasing anxiety. Lack of energy immobilized and debilitated me, an especially acute problem since daily survival required exceptional amounts of energy. Being a single mom to an infant was no picnic. Sleepless nights due to teething or illness, doctor appointments, learning to feed a child with food sensitivities, discipline, and meeting my son’s emotional needs drained my emotions and my body. I was desperate for relief. I’d taken other supplements in the past, but nothing had really helped. My migraine medication was becoming a live-in nuisance instead of a distant acquaintance. I wanted the meds to move out and a real life to move back in. That’s when SuperMom showed up—just in time. Now she is a regular daily benefactor of increased energy, decreased migraines and overall happiness in my home. Migraine meds visit only when extreme stress or mounting anxiety necessitates a short-term boost. SuperMom helped me get my life back! My divorce is now final and my friend-pool is growing. I’m still a single mom but now I have the energy to be, well, a super mom! Any minor headaches I continue to have are combated with my next Beeyoutiful favorite. A bottle in my cabinet and a bottle in my purse…check! I don’t go anywhere without Tension Tamer. This tiny roll-on stick of essential oils has been with me through thick and thin over the last couple of months. Whenever I feel a headache coming on or feel my neck muscles tightening due stress, I whip out Tension Tamer and let the aroma settle me back into relaxation. The cooling effect on my neck, shoulders, temples and behind my ears is truly wonderful. Supplemented with a few deep breaths, Tension Tamer helps my entire body slow down so I can think clearly and allow my body to heal itself. Tension Tamer has gone with me into important meetings and helped me keep my cool. It’s been by my side during confrontation and assisted me in remaining calm. It’s given my body just enough “tension taming” to allow my mind to clear before bed so I have a rejuvenating and restful night’s sleep. What’s more, I’ve been thrilled at how little I have to use to get the results I want. Tension Tamer isn’t expensive at all when I take into account how long one small bottle lasts. And unlike some treatments, the smell doesn’t make me sick, because there are no added fragrances which I’m allergic to. I can use it as much as I need to without worrying if I’m going to add to my headache or help it. Whether I’m at home or out-and-about, I know I can count on Tension Tamer to help relieve my headaches and muscle tightness in a pinch. I never leave home without it! The first time I tried Berry Well, I was having an allergic reaction to a feather down comforter. Within minutes after gulping down two tablespoons, my allergy attack stopped! I was in shock. I didn’t have to grab Claritin or an inhaler or eye drops. I knew from that moment on, my cabinet would never again be without Berry Well. Since that time, I’ve used Berry Well to help fight colds, drainage, runny noses and coughs by giving my immune system the boost it was begging for. And I don’t have any adverse side effects with Berry Well like I would with over-the-counter allergy medications. Normally, cold and allergy meds knock me out or make me hyper, drain my body of energy and leave me feeling worse than before. 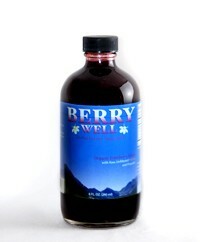 Berry Well helps me almost instantly and I find I can manage my normal daily activities. I love starting my day with Laveshmint Hydrating Toner. When I get out of the shower and feel the mist of this cool, refreshing spray, I can face the day with confidence. My skin is so sensitive that most products (I’ve tried them all!) 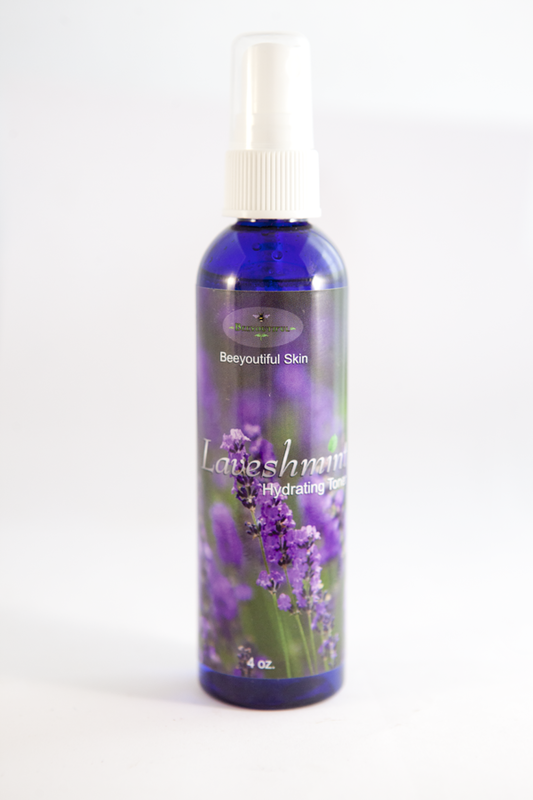 make my skin break out, but Laveshmint Hydrating Toner actually makes my skin feel refreshed with no irritation. It’s great to find a product that works with my skin instead of against it. The scent is amazing as well. It’s just strong enough to provide a hint of lavender but soft enough not to be overwhelming. What a great addition to my daily routine! 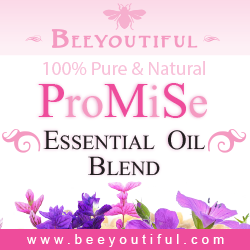 Essential oils are a new addition to my life and I’m in love! Why did I not know about essential oils before now? I now use them for many things—cleaning, fighting insects, aches, stress, as a sleep-aid and for relaxation. The aroma freshens my home, calms me and my son and goes a long ways towards helping my body take care of itself. Essential oils in general can be used in a remarkable variety of ways but Lavender Essential Oil is, so far, my favorite. What a diverse oil! I’ve loved its scent and have used it for years but I never knew it could be used for more than just the smell. 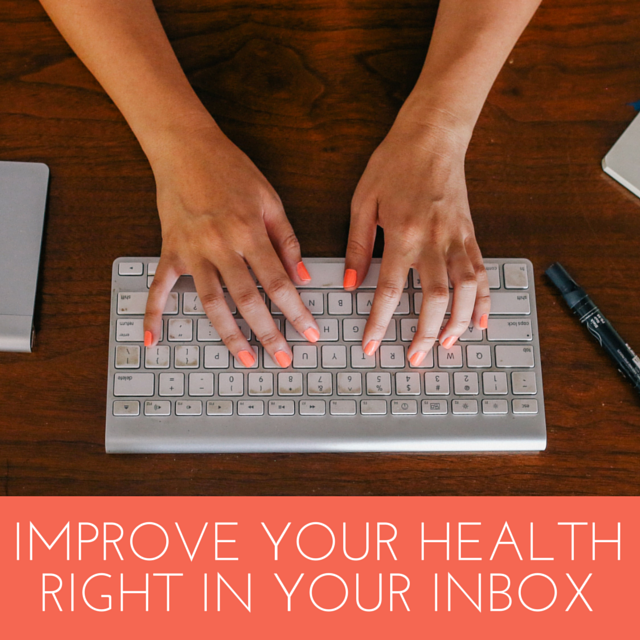 I was amazed and thrilled to discover it helps with headaches, sunburns and high blood pressure. 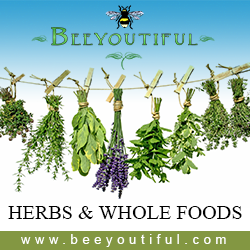 I was taken off my high blood pressure medication due to, I believe, a great combination of the Beeyoutiful products I’d been taking. I much prefer the scent and safety of Lavender Essential Oil to battle bugs than any poisonous sprays. It’s also a wonderful oil to add to my wet candle wax in order to infuse my home with the thrilling aroma of lavender. These five Beeyoutiful stars are fantastic. And unlike some things in movies, you really should try them at home! Marissa Greentree is a freelance writer who contributes regularly to Beeyoutiful catalogs. She’s mom to a 19 month-old boy and, a survivor of domestic violence, she now advocates for others in similar circumstances. Her hobbies include singing, song-writing, interior decorating, scrapbooking and card-making.